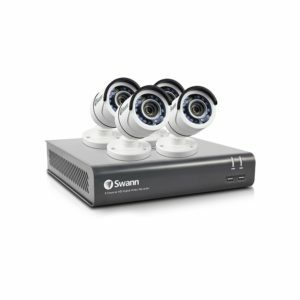 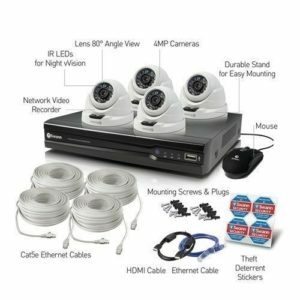 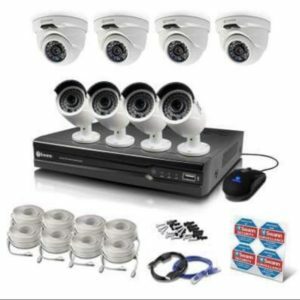 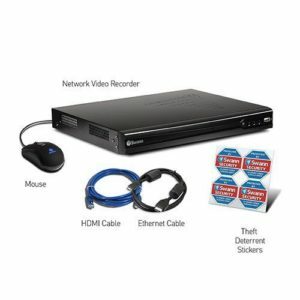 3MP video quality / 30m excellent night vision / Cable threaded through stand for additional security / Weatherproof casing / 18m CAT5E Ethernet cable / Easily connects to your HD NVR. 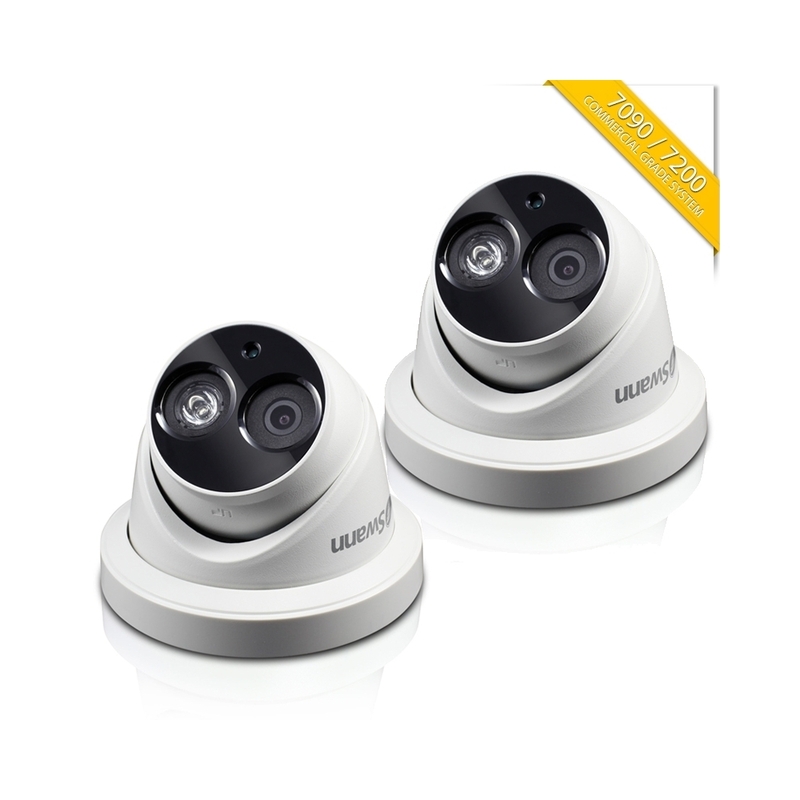 Durable & Powerful 3MP. Waterproof casing and hidden enclosed cabling to survive the harshest conditions! 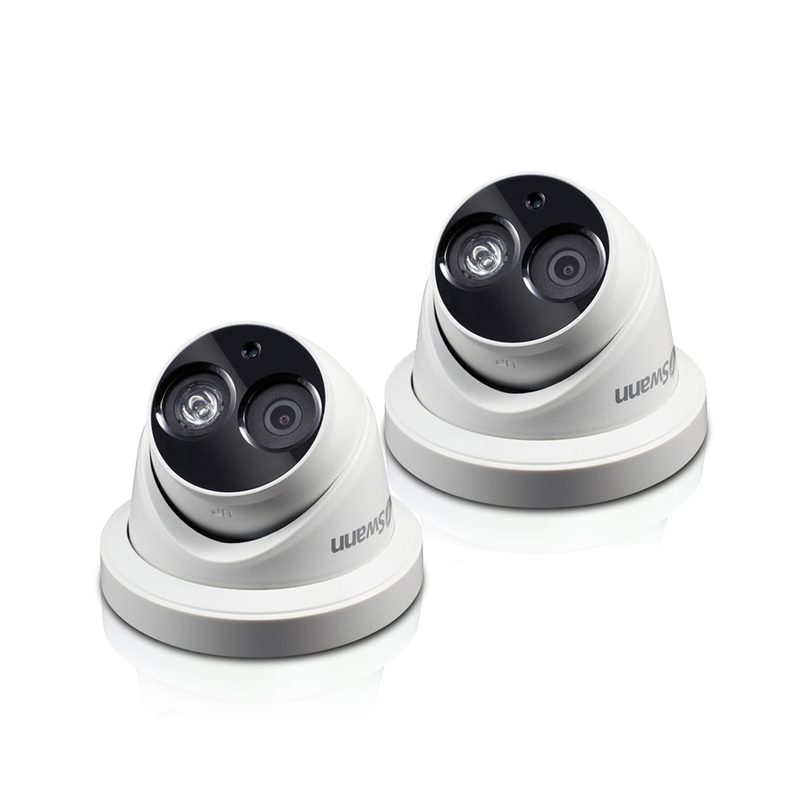 See every detail in rich, super HD. 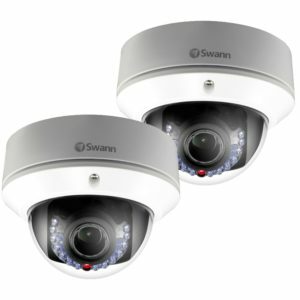 Super high definition camera able to generate amazing 3 Megapixels (2048 x 1536 pixels) video images Latest infrared cut filter for amazing night vision to 30m Built to suit any conditions with weather resistant for indoor & outdoor use Includes Cat 5E Ethernet cable, connectors & everything needed for HD security made easy This camera can only be used in combination with Swann’s Full HD Network Video Recorders including 7090, 7090 or 7200 Series NVR for cutting-edge IP surveillance in full HD Professional dome surveillance camera gives you the peace of mind from being able to see the detail you need including license plates, faces, clothing colors & more, all in 3 Megapixels.